The trial lawyers and judges who are members of the Florida Chapters of the American Board of Trial Advocates express their sincere appreciation to all of our sponsors, whose logos appear below. Please click on a logo to learn more about each sponsor firm. We believe the vast majority of investors are forfeiting an opportunity to capture another potential fortune; ironically, all the while they are likely exposed to both higher active risks and higher fees. Our firm was founded with a single guiding purpose in mind: “To implement strategies and practices we believe will enhance the probability an investor will experience higher relative and absolute returns on their core wealth portfolio, net of expenses, taxes, and fees.” In essence, we believe we offer a disciplined and diversified core wealth investment strategy with an increased probability of higher net returns at low cost. We believe every investor should seriously consider our strategy for a significant portion of their core wealth , versus active proprietary and third party manager solutions which generally entail lower probabilities of success at high costs. Our investment discipline combines the power of what matters most: All the benefits of passive indexed investing plus Our proprietary tactical asset allocation discipline equals Significantly higher probability of investment success It all starts with a strategy that will generate the content that your ideal customer is looking for at each step of their decision-making process.Create timely blog articles, informational whitepapers, educational emails, helpful checklists, webinars and more to help your potential clients achieve their goals. Being their go-to resource pre-sales establishes you as their go-to resource when they are ready to buy. As a HubSpot Certified Gold Partner, Xcellimark helps you gain the tools and skills you need to greatly expand your business success. Now in its 40th year, Florida Law Weekly publishes (in print and online) decisions of the Florida appellate courts, the Florida circuit and county courts and the federal courts (U.S. Supreme Court, 11th Circuit Court of Appeals and the federal district and bankruptcy courts in Florida). Florida Lawyers Mutual Insurance Company was created by The Florida Bar to provide a perpetual source of liability insurance to Florida lawyers. The Company celebrated 25 years of service in 2014 and built its reputation on vigorously defending yours. Established in 1982, BEC provides top-level consulting engineering services and accident reconstruction to our clients; law firms, insurance companies, state and local agencies, manufacturing companies, and clients who are seeking product design analysis and other engineering related services. Our engineers represent a broad range of engineering disciplines with offices located in Tallahassee, Jacksonville and Venice, FL. Areas of Expertise Include: All Areas of Accident Reconstruction - Including Automobile, Tractor-Trailer, Motorcycle/Bicycle & Pedestrian; Engineering Consulting; FARO 3-D Scanning; Black Box Downloads; Construction Zone / Roadside Safety; Industrial Equipment; Failure Analysis; Product Design; Product Development; Material Handling System; Biomechanical Analysis; Slip / Trip / Fall; Computer Animation, Electronic Graphics Truly a full service engineering firm that has attained regional and national recognition as a leader in forensic engineering services and new product development. BiFulco Medical Group and Dr. Santo Steven BiFulco MD CLCP specialize in MD Authored Life Care Plans and Evaluation of clients with serious or catastrophic injuries including spinal cord injuries, traumatic brain injuries, amputations, fractures, burns and other chronic conditions. Dr. BiFulco brings 27 years of experience as a physical medicine and rehabilitation physician and Certified Life Care Planner. Dr. BiFulco can provide life care planning and expert testimony in plaintiff and defense cases, and has evaluated injured individuals and provided expert testimony throughout Florida, the United States and Bermuda. Our dedicated team has a combined 85 plus years of medical and life care planning experience. We’ve combined physician expertise with the best in life care planning methodology to set a new standard in life care planning. Non-physician life care planners don’t have the expertise to establish medical foundations and most physician life care planners don't have the experienced team to provide adequate case management foundations. By providing both we offer higher quality cost effective life care plans that are patient specific and individualized with strong scientific, medical, and case management foundations. Trilogy Trial Consultants is a full-service jury research and litigation support company supporting the needs of law firms, corporate counsel, and government agencies nationwide. 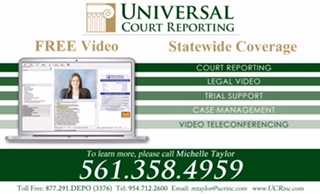 Our specialties include focus groups, mock trials, visual strategies, and electronic trial presentation. We accomplish this through creative strategic solutions for difficult problem areas encountered in litigation. TTC’s leadership team has conducted and been involved in thousands of jury simulations, mediations, and trials. 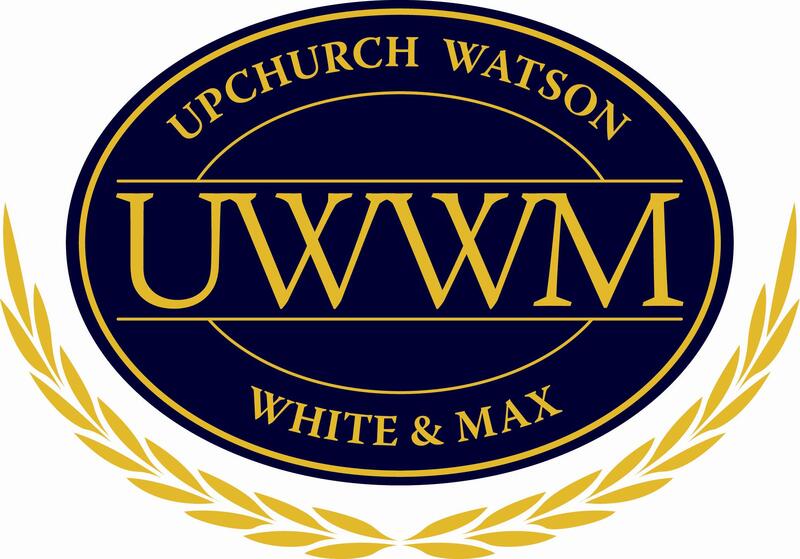 Our thorough understanding of attitudes and decision-making processes, case strengths, weaknesses, evidence perception, powerful graphics and persuasive trial presentation solutions gives our clients an undeniable advantage. 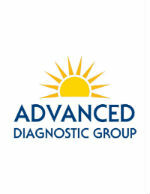 At Advanced Diagnostic Group, your health and peace of mind is of the utmost importance to us. This is why you can expect to always be greeted by a caring, attentive, efficient and professional staff who will treat you like we would like to be treated ourselves. You can also look forward to receiving the most advanced care possible in a comfortable and relaxing environment. You are in good hands with us because we care about you. Whether it’s a High-Field, Open MRI or X-ray, our state-of-the-art equipment provides the most accurate images that science and technology currently offer. Our staff and technical team view the imaging process from the patient’s perspective and are committed to providing results quickly and accurately, and easing the patient’s anxiety through compassionate care. LRG Settlement Advisors specializes in helping people with the many different issues surrounding the financial and benefits side of the settlement process. You can rely on LRG for honest, practical advice to help secure your future. All of our settlement consultants have at least 15 years experience which is one reason many of the nations most highly respected law firms recommend us as their Litigation Resource Group.We also assist clients with methods of protecting Medicare, Medicaid and other health benefits and will help you navigate these challenging waters for the best solutions for your particular situation. Global Engineering Scientific Solutions (GESS) is a multidisciplinary consulting engineering firm with a strong proven track record for assisting in the scientific evaluation of multi-vehicle trucking accidents with focus on collision dynamics, occupant kinematics, human factors engineering and biomechanics. GESS is well recognized as one of the top leaders in the field of forensic engineering, accident reconstruction, and biomechanics of injury causation. With highly experienced teams lead by Dr. Farhad Booeshaghi (Dr. B), who is nationally known and has more than 20 years of extensive experience in the field, GESS will ensure a thorough approach to the evaluation of the discovery facts and assist with the technical decision makings of your case. Dr. B obtained his Bachelors and Masters of Science degree s in Mechanical Engineering from the University of Alabama, his Doctorate degree in Mechanical Engineering with concentration on solid mechanics and materials deformation from Florida State University, and a two year post PhD Biomedical Engineering program in the area of Biomechanics from the University of Florida. We have offices in North and South Florida, serving all contiguous states. Visit our website www.gess1.com, call (850) 942-5300, or email: [email protected] to learn more about our services. High Impact is a full-service litigation support firm that blends scientific accuracy with Hollywood-level graphics to deliver custom legal exhibits that educate and engage audiences in trial and mediation. The physicians and staff at Hess Spinal and Medical Centers understand that being injured in an auto accident can be extremely stressful for you and your family. Hess Spinal and Medical Centers provide the best medical treatment for you. Our multi-disciplinary team of Board Certified Medical Doctor’s (M.D.’s), Certified Doctor’s of Osteopathic Medicine (D.O.’s) and Certified Chiropractor (D.C.’s) will tailor an individual treatment plan for your specific injury needs. Auto accidents can cause back or neck pain, soreness, numbness in the arms or legs, joint or muscle pain, stress, anxiety, or headaches. Through our individual medical evaluations and consultations. Hess Spinal and Medical Centers will identify and can help alleviate these conditions. Hess Spinal and Medical Centers work closely with physicians in the Tampa Bay area. Once you have been seen at one of our offices, your primary care physician can receive a detailed report about your individual treatment plan and get you on your way to recovery with the most minimally evasive treatments available. Victory Trial Consulting, LLC, is a full-service national trial consulting firm providing assistance to attorneys in case evaluation, trial strategy, thematic development, jury selection, trial communication, and witness evaluation. Among its services, Victory Trial Consulting provides consultation for trial and jury selection, and conducts case analysis, witness preparation, focus groups, and mock trials. Victory Trial Consulting encompasses a team of specialists in statistics, media relations, journalism, videography, and law. Cases on which Victory Trial Consulting’s principals worked have been featured in the New York Times, Associated Press, Investors’ Business Daily, American Bar Association Journal, Bloomberg, United Press International, ABCnews.com, and MSNBC.com. You can learn more about the firm at www.victorytrial.com. Your company is invited to be a Sponsor of one of the many programs offered by the Florida Chapters of the American Board of Trial Advocates. In doing so, your company’s name will be prominently placed before more than 600 trial attorneys and judges throughout Florida who are committed to preservation of the right to trial by jury; professionalism, ethics and civility; and the independence of the judiciary. Please email [email protected] or call 727-797-4187 for more information.